Lucy Rose's new video sees the singer-songwriter taking a stroll through a remote forest in Spain, before she leaps from a cliff! The jump is beautifully captured in slow mo and the whole video was shot in one take. Speaking about the video Lucy said, "I’ve wanted to make this video for so so long, film it in one take and challenge myself mentally and physically like never before. It expresses freedom, escapism and doing something that really makes you feel something, just like your favourite song does!" 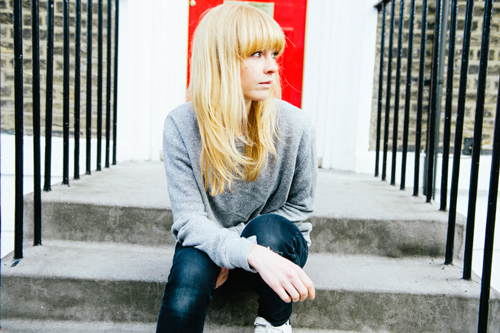 Lucy Rose's new album Work It Out will be released July 6th and you can pre-order it now on iTunes.